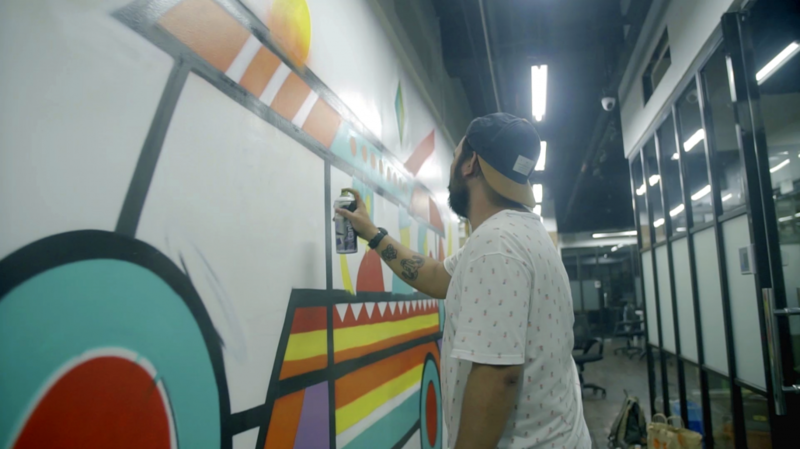 The Arch Offices team tracked down two Manila-based street artists, JP Pining and Maud Villanueva and invited them to work on a collaborative piece to spice up our new office space at Ayala Avenue. The two cities, Seattle and Manila, became an instant design vision for the mural pieces as the founders are both former Seattle residents and wanted to bridge the gap between the Seattle and Manila office environments. JP and Maud brought the perfect combination of fine art and graffiti art to the project, teaming up and successfully melding the two cities, just like their art styles, into one vibrant piece. Enjoy watching our video!